Alexander Daniel Wilson, a Metallurgical Engineer and longtime resident of Coatesville, Pennsylvania died peacefully on Friday, November 23, 2018 surrounded by love. Born on September 12, 1945 in Corning, New York to Richmond W. and Johnette (Fitzgerald) Wilson. Alex is survived by his wife of 50 years, Elizabeth Nelson Wilson; his sons - Zachary N. Wilson and Dr. Bartholomew D. (Kerry) Wilson; granddaughters Shay L. and Sadie B. Wilson; sisters Marcia Barry and Selma Jacobson; nephews and nieces. He was predeceased by his parents, and his brothers Benjamin W. Wilson and Nathaniel O. Wilson. A graduate of Corning Free Academy (CFA) in 1963 where he excelled in both basketball and track (high jump). Alex was inducted into the Corning-Painted Post Sports Hall of Fame (1987). Alex continued on to Massachusetts Institute of Technology (MIT) where he earned 3 degrees, a Bachelor’s and Master’s in Metallurgy and a Master’s in Metallurgical Engineering. He was from a tried and true MIT athletic family, where his father, Richmond, earned letters in basketball and track and his grandfather, Lewis, also succeeded in lettering in track. At MIT, Alex was Freshman Athlete of the Year (1964). He was career scoring leader in basketball (when he graduated), All East Second Team, Co-Captain (1967), led the team to its first basketball win over Harvard (1966), and member of MIT ‘s People to People team which played in Europe (Iceland, Luxemburg, and a then unified Yugoslavia and Greece). They played the Greek Olympic team in the inspiring surrounding of the stadium that hosted the first modern Olympics back in 1896. Alex played volleyball for thirty years in the Chester County co-ed leagues, men’s leagues in Lancaster, and with the Brandywine Block USA team since 1978. In the early 80’s, Alex was selected for the Keystone Region senior team to play in the nationals. Alex also played basketball, volleyball, and golf in Lukens’ leagues over the years. Alex was with ArcelorMittal USA and its predecessor companies for 41 years. For more than two decades he was chairman of Steel Market Development Institute (SMDI) Steel Bridge Task Force, whose members represent the top steel bridge design experts in the United States. During his career, he developed and tested new technologies for the bridge industry, including weathering and high-performance steels, both of which provide cost effective and durable alternatives to other materials and are widely used in bridge construction today. Alex also contributed to innovations in welding, steel production, and steel bridge design through his involvement with SMDI’s corrosive advisory and welding groups. 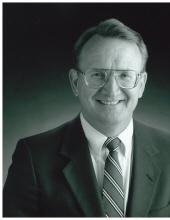 His influences reached beyond bridge applications, impacting military, structural, and pressure vessel applications with his high strength steel and weldability work. Over the years, Alex also conducted research with clean steels, fracture mechanic evaluations, plate steel development, published more than 65 papers and shaped the development of bridge material specifications. Looking to the next generation of talent, Alex oversaw the establishment of SMDI’s Robert J. Dexter Memorial Lecture, which opens the Task Force to promising structural engineers beginning their careers, providing a platform to present their research and new ideas. His deep knowledge of steel, command of the subject, and dry sense of humor, have combined for his well-known entertaining style during his countless educational and industry presentations over the years. Alex was recognized with the SMDI’s and the American Institute of Steel Construction (AISC) Lifetime Achievement Awards, the U.S. Department of Transportation Achievement Award and the Richard S. Fountain Steel Bridge Task Force Award. Alex was a fellow of American Iron and Steel Institute International (1985) and a long-standing member of the Brandywine Valley chapter of AISI. Alex was a member of the Coatesville Country Club for 30 years, where he loved to play golf. His hobbies included furniture making, playing the cello, and listening to classical and Beatles music, volleyball, golf, gardening, and reading. Although Parkinson’s disease challenged him greatly, Alex never gave up his will to fight or his love of good food and his family. In lieu of flowers, memorial donations may be made in Alex’s name to The Michael J. Fox Foundation, P.O. Box 5014, Hagerstown, MD 21741-5014 or a charity of your choice. To send flowers or a remembrance gift to the family of Alexander Daniel Wilson, please visit our Tribute Store. "Email Address" would like to share the life celebration of Alexander Daniel Wilson. Click on the "link" to go to share a favorite memory or leave a condolence message for the family.